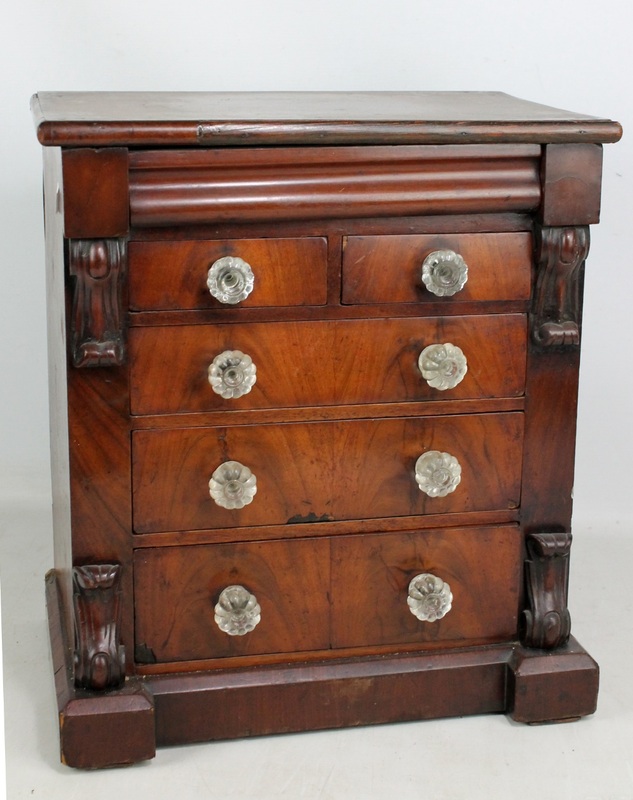 A Victorian mahogany miniature chest of drawers, the moulded rectangular top above frieze, two short and three long graduated drawers to an inverted breakfront plinth, width 42cm. Heavy wear throughout. Old repairs and new moulding to top. Losses to the veneer throughout. Overall in poor condition.